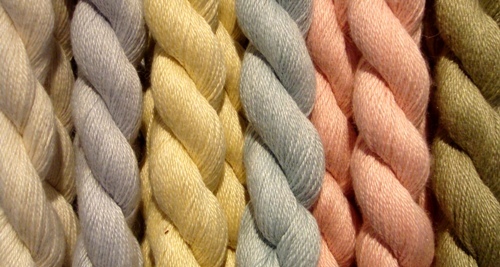 As we unpack from our big move this week, I’ve been seeing some of our classic yarns in a new light (literally!). That’s the thing about change… things can look completely different just by putting them in a different spot. Well, I thought I could show you some of the old store favourites. Debbie Bliss Cashmerino Aran is a yarn that we’ve had on our shelves since we opened. It’s a cashmere, merino, and microfiber blend. 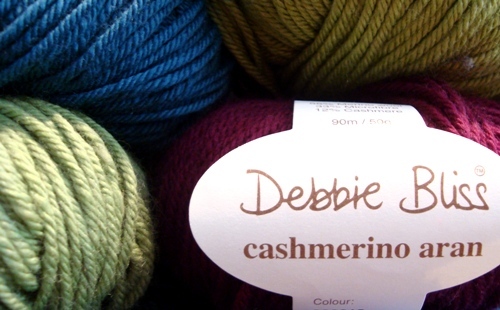 We also carry Cashmerino Dk, and Casmerino Baby. Check out some of Debblie Bliss’ gorgeous books full of beautiful, classic designs. Baby Bamboo is a “new-comer” compared to Cash Aran, but it’s one of the most popular yarns at the moment. Made from bamboo and wool, it’s warm for the winter, and breathable for the summer months. We have over 20 great colours to chose from! 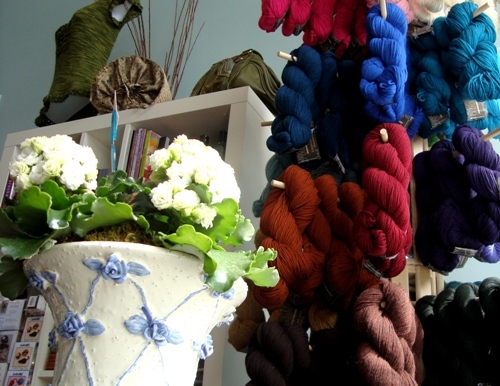 One of our most popular Blue Sky Alpacas yarns is Alpaca & Silk. It’s a luxurious yarn knit on a 3.5mm needle. Flip through our Blue Sky Alpacas pattern binder to find the perfect pattern for this yarn! Our line of Cascade 220 is ever expanding with new exciting colours! 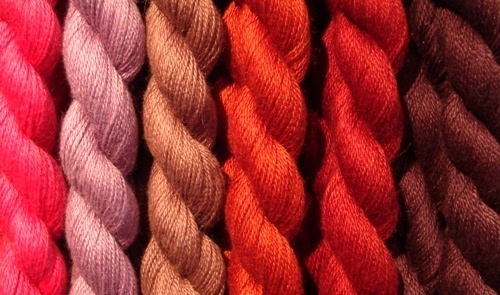 This is the perfect yarn for felting bags, slippers, and anything your heart desires! When you visit us at our new location (4437 West 10th), you’ll notice that the old location (4421 West 10th) has been turned into another great retail store for one month only. 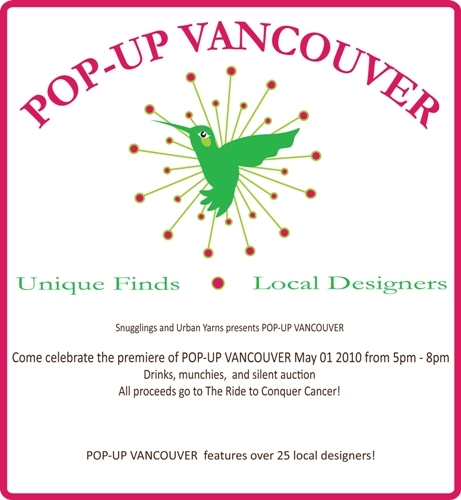 Urban Yarns and Snugglings have joint forces to bring you “Pop-up Vancouver”. For the month of May only, over 25 local designers will be featuring their one of a kind products. The grand opening party will be held this Saturday May 1st from 5-8pm. Come eat, drink, and mingle with the designers. A Silent auction will also be held with all the proceeds going to “The Ride to Conquer Cancer”. For more info, join the Pop-up Vancouver facebook group! This entry was posted on Friday, April 30th, 2010 at 3:27 pm	and is filed under Uncategorized. You can follow any responses to this entry through the RSS 2.0 feed. Both comments and pings are currently closed.